BeautySouthAfrica - Skin & Body - Are DIY remedies harming your skin? Are DIY remedies harming your skin? This “tip” has been around for decades, and chances are most of us tried this as teenagers. Some toothpaste formulations may contain ingredients that dry pimples out, and they may even bring the inflammation down, BUT they will cause irritation in the long term. Those containing menthol will make your pimple worse as it will cause more inflammation, and this can even lead to scarring. Skin Renewal has a wide variety of treatment plans and products available to treat acne. Book an appointment at your nearest branch to chat through the options with one of their qualified therapists. Maintaining the skin’s pH levels is crucial for a healthy complexion. Lemons have a pH of 2, which is highly acidic (your skin’s natural pH balance is around 5.5). Whilst they do contain vitamin C which is used to minimise pigmentation, they are not an effective nor safe treatment for the skin. 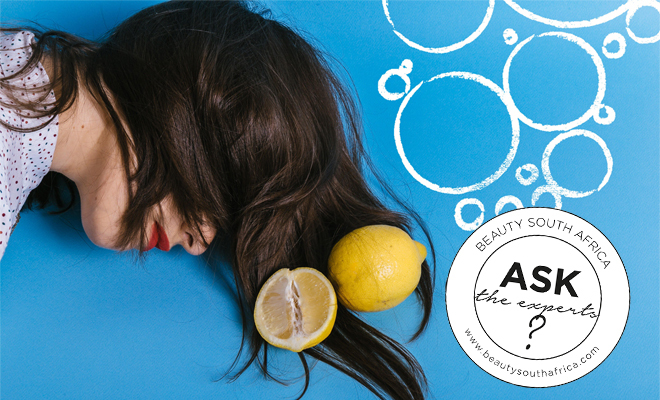 When you apply lemon juice to your skin, it disturbs your natural pH balance and damages the skin’s protective barrier, which makes you more prone to developing pigmentation (ironic, much?) and even puts you at risk of a chemical burn! Best to save them for some lemonade instead. The internet is filled with countless sugar scrub recipes, most of which involves brown sugar and olive oil. The problem with using sugar is that it is an extremely abrasive ingredient and each crystal has sharp, uneven edges that leaves microscopic cuts on the top layer of your epidermis. These tiny cuts disrupt the skin’s natural lipid barrier and makes it vulnerable to dryness and irritation. Rumour has it that raw eggs reduce fine lines and tighten the skin, but in reality, applying them to your skin is more likely to cause clogged pores and put you at risk of breakouts. And if that’s not bad enough, it also puts you at risk of salmonella, a deadly bacterium that can enter the body via microscopic cuts in the skin. Enough said. Making an exfoliant with baking soda and water is not only ineffective but also dangerous! This mixture has a pH level of 8, making it extremely alkaline, which has a drying effect on the skin. Plus, baking soda disrupts the enzymes on the upper layer of skin, which are responsible for the healthy functioning of skin cells. We recommend investing in an enzymatic exfoliator from one of the trusted brands at Skin Renewal instead. The bottom line – leave your skincare to the professionals. It’s not worth the risk of potentially damaging your skin in the process!